Homemade comfort food the whole famliy will love is easy with our creamy Chicken & Dumplings recipe made special with Pioneer© Country Gravy Mix and Pioneer© Buttermilk Baking Mix. 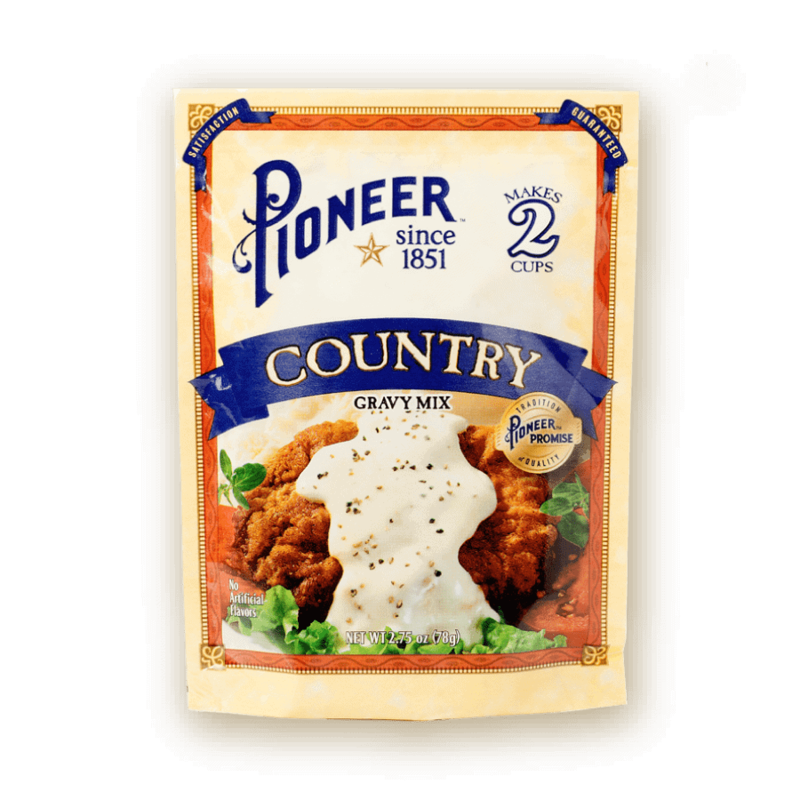 Prepare Pioneer® Country Gravy per package instructions. Set aside to cool. In a separate pan, heat olive oil. Add chopped onion and potatoes and season with salt and pepper. Cook until onions are translucent—3-4 minutes on medium-high heat. Add frozen vegetables, thyme, chicken and all of the prepared gravy mixture and stir to combine. Add 1 ½ cups of water and ¼ cups of sour cream, stir to combine thoroughly. Turn off heat. Prepare dumplings by placing 2 cups of Pioneer® Original or Buttermilk Baking Mix in a bowl with 2/3 cup milk, stir with spoon until all dry ingredients are fully incorporated. Bring the gravy and chicken mixture back to a boil then gently drop teaspoons of dough into liquid. Drop all of the dough then cover, reduce heat to low and simmer for 6-8 minutes.